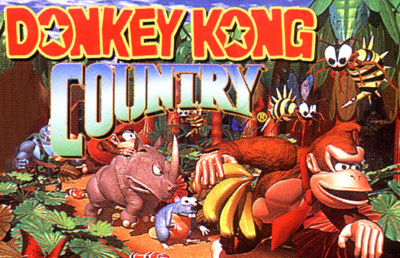 This was the first Donkey Kong game that was not produced or directed by Shigeru Miyamoto. Following an intense marketing campaign, the original SNES version eventually sold over 8 million copies, making it the second best-selling game on the system (trailing Nintendo's Super Mario World). In this game, Donkey Kong must recover his stolen hoard of bananas from King K. Rool and the Kremlings. His banana hoard is located in a cave just underneath his house. He has the special help of his best buddy, Diddy Kong, who idolizes DK. Cranky Kong lends some advice along the way. Funky Kong and Candy Kong also lend a hand. The game was revolutionary in that it was one of the first games for a mainstream home video game console to use pre-rendered 3-D graphics. It was a technique that was also used in Rare's Killer Instinct. Many later 3-D video games would also use pre-rendered 3-D together with fully 3-D objects.